Laravel/JS/React test. by Surik Simonyan - on Twine. 1. Setup Laravel latest version (set preset: React) 2. Create models: Project, Task (with migrations). 3. Create relations between models: a user has many projects, a project has many tasks (Extra points: Task may have one assignee (a user who is responsible for task completing): user model) 4. Seed database with laravel factories to have minimal dummy data to show on pages. 5. Frontend should be done in React 6. Main page: show all users 7. By clicking on user’s name on main page, go to page where is shown all projects of given user. 8. By clicking on project’s name on projects page, go to page where is shown all tasks of given project (If Task has one Assignee is done, also show assignee’s name). 9. 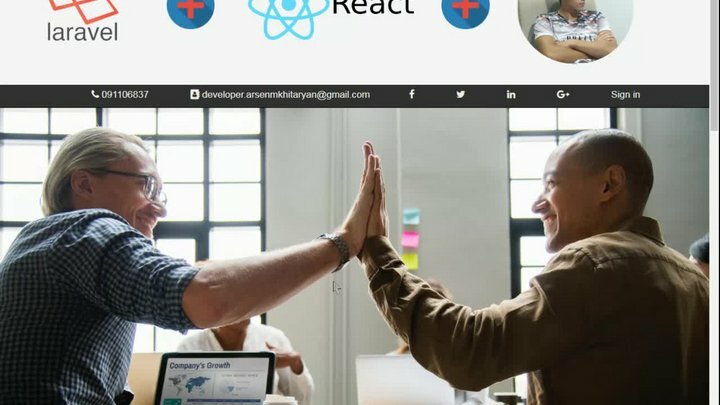 User, Project, Task html representation must be as React Component. 10. Extra points for comfortable design.